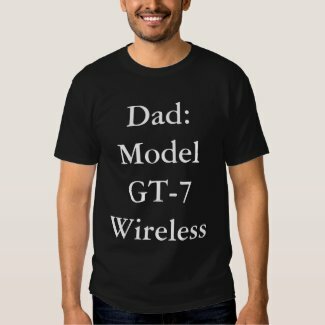 Today, I have been making tshirts for Dad on my Zazzle store. They are being thought up and designed almost simultaneously, although to be honest, I brainstormed a lot of ideas first – most of which I wouldn’t use without a bit of revision on them. These tshirts are funny and geeky – hopefully perfect for Dad to get on Father’s Day, for a birthday or as a special Christmas gift later this year. The first one needed something – so I changed the text font on the word, Leader and put it in red to make this one – the back has the same design. It also says, Fix It team which changes in the next couple shirts. It needed a coffee mug to go with it so I decided to make a commuter mug thinking that would be a great gift for Dad – well, for my Dad. And, maybe other people will like it too. Then, I decided to change the words to Fixer Team and redo the font on House Run-a-Muck Fixer Team and separate it some from the word, Leader while making it larger too. Daughter and fellow business partner came in and said it would be funnier if the word Leader was on the back with the other part about House Run-a-Muck on the front which yielded this tshirt for Dad. 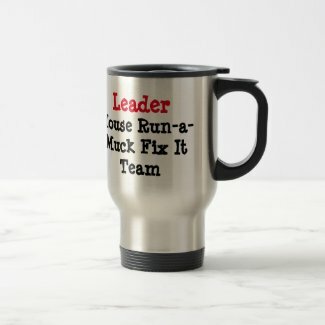 The back says, Team Leader in bold red letters. Create a custom t-shirt on zazzle. 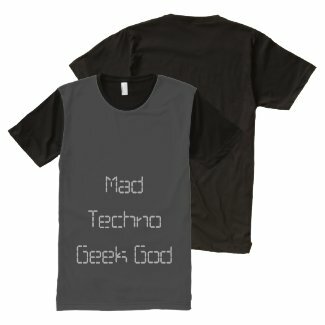 So, from my brainstorming a number of ideas for words to go on Dad tshirts for Father’s Day to say #1 Dad without using those words – this one started as Mad Techno Geek which my daughter changed to read, Mad Techno Geek God and she decided on this computer tech look font. This allover print tshirt is black sleeved with black on the back that are solid and non-design surfaces – the front black background looks more grey but the words are great. So, I made another one of it after this. The same tshirt above showing both front and back – the front doesn’t look as grey here and I chose the black background print color from the Zazzle editor instead of adding my own plain color black background art that I have on file. I suspect it will be a dark grey more like the above closeup of the shirt though. 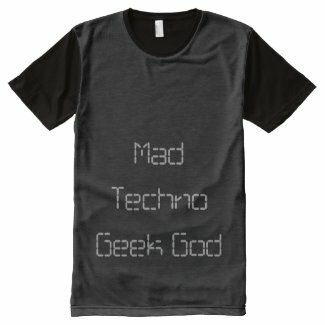 This is the next version of the Mad Techno Geek God which I did while daughter walked up to the store – I like it. Create unique custom tee shirts no minimum. Then, putting together two brainstorm ideas from my list, one of which was modified by my daughter to say batteries not required – yielded this tshirt for Dad – The Dad-O-Matic that requires no AA batteries. Very nifty. About then, I made a note to make another of these tshirts that I designed a few years ago – into a new version for Father’s Day with my saying on it, Nerd by Nature – Geek by Choice. 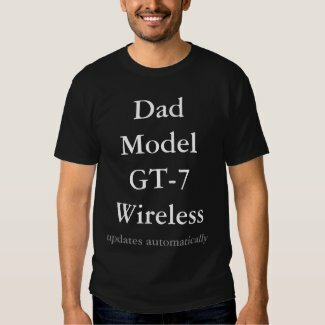 Here it is made with geeky Dads in mind because Father’s Day is soon, but this shirt is perfect for just about anyone who is geeky and should be proud of it (women included and a selection can be made from Zazzle to simply put it on any style of women’s shirt too). I like it – one of my favorites. Then, I got to thinking about who actually buys gifts for Dad on Father’s Day, realized that kids need something nifty to give Dad too – and made this shirt on the fly right out of the top of my head. Wasn’t brainstormed first – just happened. I like it a lot. The back of the shirt says, Dad of the Best Kids. And the front says it all, Dad of the Best Kids in the World and below that slightly smaller in a different color of grey, it says (they bought me this shirt). Very nifty and funny. Daughter actually laughed when she saw this one in spite of herself – being young and so sophisticated as she is. This was from the combination of two ideas also – and there ended up being two versions of it. On this one, the design is only on the front because I couldn’t think of what to do with the back and the second repeats the design on both sides because I liked the design better. 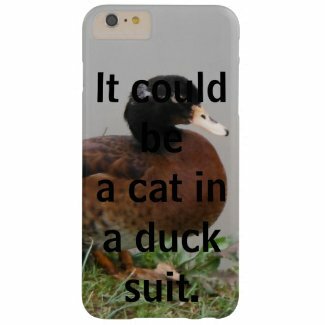 But on this one, anyone buying it can customize the back with an added message, which is also pretty cool. I do like this one better. Took the colon out that appeared after the word Dad, and that re-sized the text to look a lot better or rather, re-situated it visually. And then, I added – updates automatically in grey and smaller text size below it – which is funny and really fun and makes me laugh every time I see it. Love this one. Perfect for Dad too. Well, on my list of brainstorming ideas, I had the word wireless – which is a perfect word for a tshirt and in a few minutes I’m going to make one with it. But, daughter said it could be misread – so I put Wireless and User-Friendly on this shirt, both sides. Not sure if I like the font style. Will probably change that too. The shirt is funny and it is a little bit of innuendo apparently. Maybe not risque though. I almost bet a guy would buy this shirt for himself to wear. It would be a great shirt for some occasions. Make a tee shirt design from Zazzle. 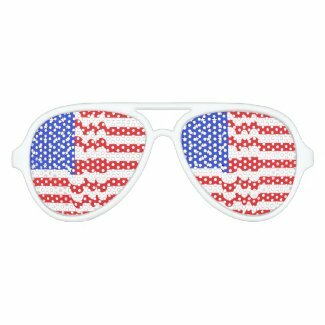 Last night, aside from a diversity tshirt that says, Diversity is Strength that I’m not including in this post, that I made – I also made these fun party sunglasses for the Fourth of July which would be a great Dad gift too. They are aviator style, but the Zazzle store allows for another style and a kid’s version too, along with various other colors for the frames. I liked the white with this Star Spangled Banner Red White And Blue USA gun-ho look. The flag design has a different look to it than simply a flat American flag which I really like about it. These are just so fun. Also made last night by me on Zazzle – were two American flag ties. This one has a flat navy blue background and the other below it, has a navy blue starfield background. Love them both and they would make great gifts for Dad, or to wear for Fourth of July and other patriotic holidays – and to celebrate returning personnel from engagements. And, for Armed Forces Day too.They would be a great Dad gift. 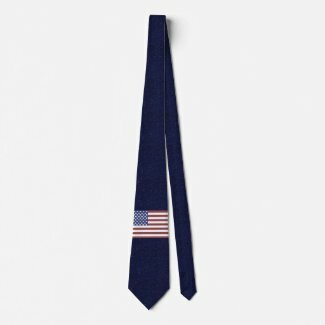 The first version of the American flag tie design for this year that I did was made on a navy blue starfield background which is repeated on the front and back of the tie. It is the first of the two made last night, the second one is shown above. 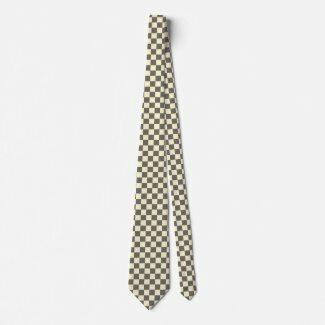 This tie could be worn to work as well as to holiday celebrations, election celebrations and Fourth of July, Memorial Day, Veterans’ Day, Armed Forces Day, Armistice Day and Flag Day celebrations. And, Labor Day, but I don’t see many people interested in wearing a tie on Labor Day unless it goes with swim trunks, running shorts, or with a tshirt, running shorts and sneakers. Hey, that could be a great look! Just had to take this moment to show off my two new versions of a Lucky Fishing Shirt for the Geeky Dad with its ray gun and the words, Lucky Fishing Shirt. The second version done yesterday or the day before – is below this one. Like this one the best, but they are both great fun and funny for the tech focused fisherman, any geek, and anyone who has thought a ray gun would’ve done better than the worm and hook that the fish are laughing at just below the surface of the water while watching you “fish”. These two Lucky Fishing Shirts were made originally, last year or earlier this year by me, but the text was smaller. There was another few designs along the same theme that I did, but haven’t remade them yet. Will probably do that sometime today or tomorrow – I’m making a note about it now. One had a fishing thing that wasn’t a ray gun – I’ll have to go find it. I like the ray gun, but I’m a bit on the geeky side and find it really, really funny. You haven’t been fishing with me or you’d think it was really, really funny too. This is the iPhone case that inspired the Dad’s tie above. It just looks so cool with that retro modern thing going on and I didn’t put NYC on the tie, but it sure would look good on it too. 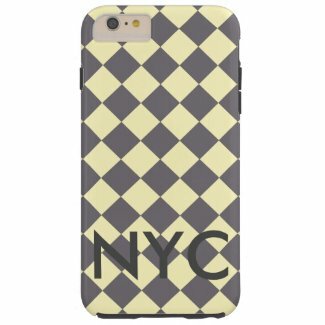 Love this particular checkerboard pattern I recently made with its very, very light yellow tint squares contrasting the steel grey squares. I just love it. And, it is so perfect on the tie and this case – what a great look! Love em. I’m going to go make some more goodies for Dad and for gifts Dad might enjoy getting for Father’s Day. Even though there are thousands of nifty gadgets to get for Dad, when it is time to get something really special that he might wear – well, there can’t be enough to choose from as far as I’m concerned and more would be lots better. That way, something may be just perfect. And make the best rolling laughter that serves as part of the very best gift of all – good feelings and knowing you are loved.